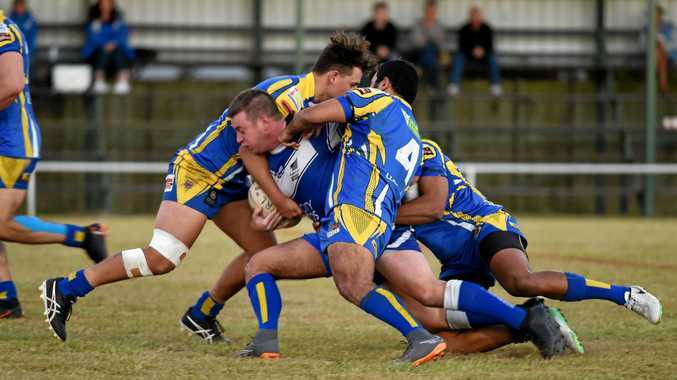 LEAGUE: For four straight years a Fraser Coast team has won the Bundaberg Rugby League minor premiership, and four straight years we have been snubbed. Fraser Coast teams cop the rough end of the stick as far as the BRL's finals are concerned. Regardless of where the Hervey Bay Seagulls, Maryborough Brothers, or Wallaroos finish on the table, the current system dictates they will not host any finals footy. Fraser Coast teams choose to play in the Bundaberg Rugby League, so our three clubs have to cop playing all finals games at Salter Oval. The other is that, if clubs deem it appropriate, it has to be raised and approved at the annual general meeting. The BRL is comprised of four clubs located in Bundaberg, three at the Fraser Coast, and one at Childers. Hervey Bay won three straight minor premierships in 2015, 2016 and 2017. In 2016, the Seagulls won 17 straight games to claim the minor title. In the majority of those post-season games, the Seagulls - and their fans - travelled 120km to Salter Oval, Bundaberg, played a full game of high-intensity rugby league against a team from Bundaberg, then travelled the 120km back to Hervey Bay. Wallaroos claimed the 2018 minor premiership at Eskdale Park on Saturday night, but that is the last time the team's fans will be able to see them play at Maryborough this year. Peter Waters' men will travel to Salter Oval this and next week for their final regular season games against Past Brothers and Waves Tigers. Wallaroos representatives will again travel to Bundaberg the following week for the BRL's presentation night, which occurs during a competition-wide break, then will travel to Salter Oval, the home of the BRL and host of all senior finals fixtures, for as long as its season lasts. The centralised stadium idea is not a bad one. It makes it a lot easier for fans and officials to organise events if the venue is known for the better part of the season. But those involved in the BRL - the executive, and officials at each of the eight clubs - must look at some kind of reward for the minor premiers. It is a move that could help fans of clubs outside of Bundaberg feel they are part of a united competition. The right to host the major semi final is a small but just reward for a team which proves it is the best throughout a 16-week regular season, and it is about time the four teams located outside of Bundaberg were given the opportunity to earn a home final.